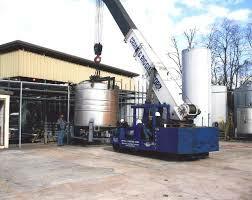 Industrial relocations include a lot of detail. You need a professional partner who can oversee the project before, during, and after the move. A partner who knows what to move, when to move, and how to move. You do not want any surprises. We know. We understand. Thats why we are the Relocation Engineers. We take projects of shifting automotive industries and provides optimum satisfaction to our valued customers by providing highly efficient services. These services are executed by a team of expertise professionals having deep understanding of shifting. Our Relocation managers along with trained workers provide unmatched services. The entire relocation process is carried out smoothly and with utmost care. We use quality packing materials such as thermo-cols, cardboard sheets, gunny bags and plastic bubble etc. 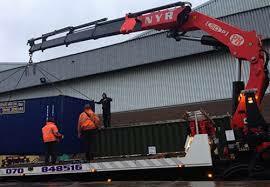 Our Industrial Relocation Services have been designed to meet the relocation needs and expectations of our corporate, business and industrial clients and customers. We are proud to be one of the leading relocation companies in India and abroad. We satisfy all our clients by giving them services right as per their needs. To bring about industrial relocation responsibilities powerfully, we only use high quality materials for packing industrial goods and personal belongings.